Should eBay Guarantee NOS Even When Sold As Is? Collectors often turn to eBay for New Old Stock (NOS) parts and accessories to keep their collectibles in working condition. You can't necessarily walk into a store today and buy replacement parts for antique and vintage cars, radios, cameras, bicycles, and the like. New Old Stock often come in their original boxes, which is often part of their appeal to collectors. A reader alerted me to a thread on the eBay discussion boards where a seller ran into a problem when he or she sold three NOS factory-sealed audio tubes. The seller described the items carefully and said they didn't know the specific model or their performance. The buyer claimed one was not working and wanted a refund for over one-third of the lot's selling price (over $1400), or else they would return all of them and file a claim. How eBay handles these kinds of cases is crucial to its role as a source of hard-to-find items. If sellers can't sell rare NOS items on an "as is" basis, they might not continue to sell on eBay. It's easy to see both sides of a transaction like this. Buyers can be desperate for parts and be willing to take the risk a 50-year-old part may not work - especially if the seller has been meticulous in their description and specified no returns. No one forces buyers to purchase items that fully lay out the risks in the descriptions. On the other hand, there are bound to be some unscrupulous sellers who sell NOS they know to be not in working condition but leave it up to the buyer to find out. "Hey everyone, I just wanted to step in and clarify that while we do expect the buyer return the item they receive in the condition they received it, exceptions would be made for testing purposes. The item is still covered for first time use. "As for listing an item stating it is untested or as-is, it is up to the seller to review their products in full detail and describe them fully to the buyer. A seller cannot claim they were simply unaware of an issue and be absolved of responsibility. In the situation described here, the best course of action is to work with the buyer and consider the partial refund they are requesting. If eBay were asked to step in, we would most likely authorize the return at the seller's cost for a full refund." Does eBay's approach to this situation come as a surprise? And given the fact a buyer can turn to PayPal to file a claim, is it surprising anyone still sells expensive, factory-sealed NOS on eBay? What are the alternatives? We occassionally sell NOS stock. What we do is open the box and test the item first before we even list it. IN the listing we state that the item is NOS but that we have open the box and tested the item. Therefore the box will show signs of being opened. If the buyer is to uneducated to read the entire description or is to lazy its then their fault. We have had only one item that the buyer tried to return because the box was opened. THEY LOST as to stupid to read. In MY opinion ebay should have NEVER started the whole Guarantee program. I do understand why they did. but guarantees should be left to the seller. not ebay if the seller get to many complaints then suspend there accounts. But for every 1 bad seller there are 10 bad buyers and the sellers get the worst of it. Or ebay could do as tradesy does and take the return them selves for inspection to determine if it is the sellers fault if not they dont have to give the money back and the buyer is out of luck, they dont get the merchandise back or the money. This weeds out alot of the bad buyers. As a seller I give 24 hour unconditional return. You dont need more than that with clothing. either it fits or it does not. Part of the appeal (rather, what used to be) of obtaining NOS and similar vintage via eBay, was that one could obtain something sought for without having to rely on it being 'local'. But a larger appeal was the pure 'discount' benefit of not having to pay a 'retail' price for it. Even more true for less rare items. However, as is true with any 'discount', (e.g. Scratch n dent) the buyer must be aware that 'risk' increases. The problem is, buyers want 'retail' quality and perks, at 'wholesale' costs. Naturally. But the BIGGER issue is, eBay, via their one size WILL fit all policies, encourages that mentality, and even rewards it without a shread of evidence being needed, simply per buyer 'claim'. They don't care about fact, truth, or justice. They just want the 'noise' muted. Now, to be sure, one can not reasonably sell something 'as is' online, because there is no way for the buyer to determine for themselves what 'is', actually is. That's reasonable. So it is the responsibility of the seller to clearly identify what 'is' actually is, and then offer the item as DESCRIBED instead, which includes adding ALL other necessary disclaimers as may apply. Don't know? Find out. Or pass. And THEN the responsibility should fall on the buyer to base their decision on that. Should. All this 'black and white' assumes a sound and complete seller description of course. If not, (something excluded or stated as 'unknown'), then a seller should ethically deal with a return. Which means that - for ethical full disclosure sellers - opened NOS items will immediately lose value - because one must now treat it as if it is a new retail item, as if there are 50 more on a shelf, because eBay has commoddity myopia, and will take no responsibility themselves to ensure any evidence is reviewed in the case of buyers who will 'appear' to agree with seller terms for non-commoddity items, then override that via the threat of claim. Which is one reason among so many, why so many less such items are on eBay now. The discussion on this type of thing has been going on years and years. And, what the eBay person's remarks reflect completely on today's perception that the buyer is never responsible for their decisions. Too bad that seller didn't familiarize himself a little more with ebay's rules and practices. This has ALWAYS been the case on ebay. It is my NUMBER ONE ISSUE with them, and is why I NEVER sell any "NOS" sealed items on ebay anymore. ebay is likely losing money because of this stupid policy. Essentially, ebay is telling small sellers they have to ***extend the original manufacturer's warranty*** by 10 or 20 years or longer! A few years ago, when that smarmy "Griff" guy was around (Is he anymore? I no longer pay attention to any of that ebay stuff) I specifically asked him this question during one of their forum-based "chat" sessions. He was all like (paraphrasing) "Yes, of course the usual guarantees apply - why wouldn't they?" The ONLY chance to sell NOS sealed items is to classify them as "Not working / parts only", and be very careful not to say anything in the description that would lead a buyer to think the thing might work. But even then, I don't trust ebay to side with the seller in a dispute. IMHO - the answer lies in allowing sellers to sell **certain** items as "Sealed - Old Stock", but with the **risk of purchase** on the buyer. IOW, it would be made clear, perhaps through a special "Condition" designation, that the buyer is assuming the risk of the item working if the buyer opens the NOS package. Would ebay ever institute anything like this? IMO - no! eBay ONLY understands "pleasing the buyer" and you can tell that from their SNARKY reply. In most cases, its IMPOSSIBLE for a seller to test these items - thats why its sold at a discount AS IS as apposed to NEW. If it was sold as new then its DOA and its covered by eBays Return Policy. In this case there was no way the OP could have "tested" old audio tubes that are 50+ years old. With what test equipment exactly should they use to test it? Lets say its NOS for a Studebaker .. got one of those at the local car lot to test the part out? eBay needs to CLEARLY define NOS - but as always eBay does the WRONG thing and says the wrong thing. eBay sux and always will. BTW im not the OP. It has been my experience that when a buyer has purchased a listing with multiple items in it and then at a later date claim something wasn't right with one of the items in the lot, I approach with caution. They are of course asking for a partial refund as they don't have a problem with the rest of the stuff. I have a standard response to these types of request, return for refund. All items, not just the one. I tell them I'm happy to take care of them, send them a label and have them return all items. The vast majority of the time, the buyer was just after a discount they felt they deserved for whatever reason they have. Most never return anything to me as this wasn't what they were after. There may not have been a problem with any item in the lot, the buyer just felt they were entitled to a refund. Some other things are worth pointing out here. First- the buyer is in Romania. Second- Buyer said right out of the gate he was keeping the tubes. Third- if you read the seller's listing, the tubes were listed as COLLECTIBLES with a ''--'' item specific, they were in SEALED BOXES which is where their collectible value lay, and the seller was extremely clear in the description that he wasn't even sure what variant of the tube number on the box they were. Seller also explicitly stated that he could neither say what exact type they were or make any claim to their functionality. Fourth- they were Telefunken tubes is factory sealed pristine boxes... Telefunken is the Mercedes of German audio equipment. This pretty much guarantees without question that this tube wasn't bad at all, as was pointed out by another poster experienced in vacuum tubes on that thread. This seller did absolutely everything right in my opinion, and in my opinion the buyer just wanted to re- negotiate the price once he had the goods all the way over in Romania... and there was absolutely no way that this seller was NOT either going to give a discount after the fact OR wind up with junk tubes that were not his- shipped back at his additional expense. What was really interesting in the eBay Blue's response was that the buyer has the right to ''open and test'' things, or right of first use. Not only is this new unannounced policy extremely vulnerable to abuse, it also completely negates written policy in which it is stated that the buyer MUST return the item in condition received- not anymore! Once again, the policy is the policy until it's suddenly not policy, and eBay doesn't even need to inform you OR bother changing their policy pages. Marie, I do exactly what you do. It's all or nothing. Most of them are looking for the "after the sale coupon". 99% of the time, once their bluff has been called (by doing exactly what you describe), you don't hear another peep out of them. Eebay doesn't care if they return just 1 of the 5 items they bought. Ebay refunds all the money. This is my experience. Buyer claims the 5 used items were "too new" so SNAD - just everyday junk not collectibles. So she returns 4 of 5. I escalated under the ebay great seller beta program where supposedly sellers get someone to review the claim..."too new" apparently a great way to claim not as described so much for over-deliver and under-promise and as a regular practice you are just SOL if you think you can claim a buyer didn't send it all to you and get them to pro-rate the refund. Supposedly this is impossible for ebay to do. Apparently you cannot prove it especially if you had to send a prepaid label in the first place. so you paid full price for 5 pounds got 4 pounds back but no way to prove, out the full price of shipping both ways and could be out nearly all your items. Even though I have an anchor store I was unable to get anyone at ebay to hear me on this. I have also had to pay return shipping and full refund on unused items where the buyer sent the photo of the exact item they were supposed to get. Literally taking the photo off the listing and claiming it was the photo they took and not the same as the listing...ebay says no way to prove it. If anyone here went into a Sears store and found a NOS item that cost $500 and when you got it home and opened that package if it did not work would you return it for a refund? If I buy a set of your headphones NOS in the package and they DON'T would you refund my money? The seller probably should have had these expensive tubes tested, and photographed the sealed boxes beforehand. There should have been a photo or other documentation of the test results posted. Also, identifying marks should be placed onto each tube, and noted as such in the item description to avoid fraudulent returns (i.e., returns are OK provided the ORIGINAL and unbroken items are sent back). They should have been offered with a guarantee as well, since they are deemed to be in fully working condition. Yes, this sounds like a lot of trouble, but when a group of items is over $1000, there has to be some due diligence by the seller. I learned the hard way years ago what ''parts swappers'' can and will do to get something for free. And many of those who purchase high-end electronics are well versed in the methods used to game the system. If a seller takes the time to document their merchandise well, and be adamant about (1) Only allowing the original item(s) to be returned, and (2) Not issuing partial refunds, this no-nonsense approach should discourage those with less than honest intentions. These folks will then take their ''business'' somewhere else. Yes! That is exactly what typically happens. "Eebay doesn't care if they return just 1 of the 5 items they bought. Ebay refunds all the money." For that to happen, the buyer or the seller would have to escalate the Request to a Claim. There is no need for anyone to escalate the Request if you are working well together. 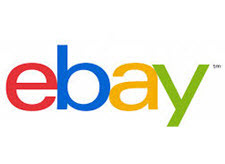 If you and the buyer have agreed on a partial return for a partial refund, Ebay does NOT have to be involved at all. It is NEVER a good idea for the Seller to escalate a Request to a Claim. And I'm not sure what your reasoning was in doing so. It wasn't the perimeters of the Beta program. I think you may have misunderstood something. In the Request stage the buyer and seller are free to reach any agreement that works for both of them without Ebay interference. Oh please. This is an absurdly innacurate analogy. First, finding a NOS item at a Nationwide retail chain store? Yeah, that happens. Second, returning items to a store will require one to spend their time and travel expenses without any consideration for compensation for 'gas money'. Decidedly different from having ship costs (both ways) being a compulsory part of any refund. Furthermore, they will defintely check serials, and other product details to ensure you are not returning one from your own workshop or attic in lieu of the one actually purchased. EBay's position is 'there can be no proof, so we won't bother to review evidence that prooves seller defense. Third, stores have 'discount' sales on discontinued and 'returned' merchandise all the time. Many of which state 'no returns'. Not 'no returns unless you avail yourself of the extortion threat clause that overrides the purchase contract terms agreed to', because the latter exists nowhere else EXCEPT eBay. And if for some reason you DO find a way to obtain a 'courtesy' override, you will find it is NOT a default position. And none of all that accounts for the fact that 'Sears' (et.al.) owns, offers, and takes responsibility for their OWN inventory. Apples and oranges. Try again. Buyer never requested to return less items nor were they expected to return less items, she just did it because she was dishonest. I stupidly thought that someone would actually review the supposed reasons for return, her emails and what was actually sent back and the reason was because I received both less items than I sent and reason for return was BS as far as being SNAD. Item not damaged or wrong or different so it should not have qualified as far as I thought (per CSR phone call) whether that was wrong or not. Had she told me she had a problem with only 1 or all but 1, it could have been handled differently but her supposed problem was for all. The truth was she got the same items for about 2.00 less (per her feedback) from another seller. Strangely, although she said newness was the issue, she actually kept the newest and most pristine condition of all. So yes, perhaps I should not have escalated but per the wonderful telephone helper I had (supposedly in that area) that is what I was advised to do. Of course, when I called back I was told how stupid I am that they cannot possibly believe me as I am just another lying criminal seller who cannot prove anything. I now only send messages that contain return info and that seems to work better and that is what another CSR advised if the problem/reason does not specifically address what you will be able to charge the buyer due to any buyer misrepresentation or wrong item back. Because if it is escalated you automatically lose so you basically have nothing more to lose if the buyer is lying. If I get it back and it is right, then I can use ebay to refund or not but since I think it counts against you too, I rarely do it. As far as this customer goes, I really do not know what more could have been done for her. She never asked for a 2.00 discount or a discount equal to one item. Each email trying to reason with her got more ridiculous than the next from claims of new to made in china to already bought it locally for less to no longer needed, none of the emails from her were pertinent to the facts of the return. I really believed that anyone reading those emails would see that she was just looking for a free return with full refund. Apparently though, the buyer has to say ''I was lying, The item is as described and I just wanted a free return and full refund even though I am only sending back 4 of 5 I purchased''. Otherwise, you have no chance. If they were a NEW current item, SOLD AS NEW - then DOA applies as it would on ANYONES item. But if you buy a COLLECTABLE, sealed untested item and its sold UNTESTED NOS then no. eBay LIEs. They always lie, and even when they tell the truth - theres a lie IN IT. If the truth is that NO MATTER what the listing says, no matter what it is, the buyer is always RIGHT - then say so. Dont allow the selling of collectables on your site and hide behind a BOGUS MBG policy. You cant open sealed cards (baseball, football etc) then claim you never got a "Ken Griffy rookie card". Sometimes its there, sometimes its not - and when you open the sealed package - YOU change the items value. It CANT be sold again in the condition it WAS IN. Thats why NEW items and refurb items have different costs. They both may be in perfect "new" condition .. but technically they ARENT. In this case they were sold in a specific way and described as such. As Georg said - eBay (as usual) went around the bend to change STATED POLICY ON NEW SEALED VINTAGE ITEMS - just to make the buyer happy. @TRINTON was wrong in this case and so is eBay. "...I stupidly thought that someone would actually review the supposed reasons for return,..." I'm not sure why you thought that. You've been around for quite a while and heard stories here and I'm sure on Ebay threads. It has never been recommended by ANY seller to escalate a Request to a Claim. It will typically turn out badly for the seller. And I'm sure you are aware too that CSRs are not all equal. Some are better than others and many just don't know the first thing about the Ebay rules or how to assist their customers.
" Because if it is escalated you automatically lose so you basically have nothing more to lose if the buyer is lying. If I get it back and it is right, then I can use ebay to refund or not but since I think it counts against you too, I rarely do it." It ONLY counts against the seller if it is a CLAIM that has been closed in the buyer's favor. If you allow it to stay in the REQUEST stage [no escalation], whatever you and the buyer agree upon is fine, even if you refund them part or all. Stay in the REQUEST stage as often as you can because no matter what the outcome is it does NOT count against the seller. You just need to remember never to escalate a request to a claim. To those who say break the seal & test the rare old part: you can do that but it still doesn't prevent buyer from saying it doesn't work. Maybe shipping caused the delicate old item to die. Maybe buyer installed wrong. Maybe buyer is dishonest. The end result is the same: ebay sides with buyer. No point in getting upset over something we cant change. It's just how ebay is. A small % of transactions are going to be losses. It's part of the cost of doing business on ebay. As far as the comment on what should happen if a Sears customer paid $500 for a NOS item: Sears sells new items for use; Sears does not sell 40+ year old collectibles whose values are ruined once opened. Expectations are different. * Sears can take a loss on one sale because ant future sale in the Sears building are giving Sears profits. Sears isnt just one of a half-million sellers inside the building. If ebay wants to offer a warranty in 40 yr old items to buyers, then ebay should pay out. If you want to offer a warranty on 40 year old NOS that you sell, that's your choice. But i don't like that the owner of the marketplace decides for me what my policies need to be. If a buyer needs a warranty on headphones, he should stick to buying brand new ones still under manufacturers warranty.